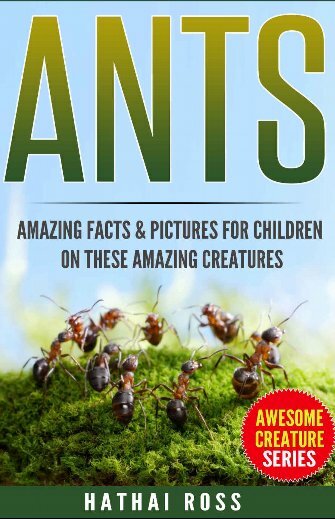 ANTS: Amazing facts and more! Ross spends a bit of time describing Argentine, Pavement, House, Carpenter, Crazy and Fire Ants. The author describes their appearance, environment, daily life and interesting characteristics. Amazing facts include their exceptional strength, being able to carry twenty times their weight, and the fact that they fight till the death. Ants usually crawl in lines because they are following the pheromones of ants that have crawled before them. There are one million ants for every single human living on earth.